We have plenty of wood which you are welcome to use or, if you prefer, you can use charcoal. 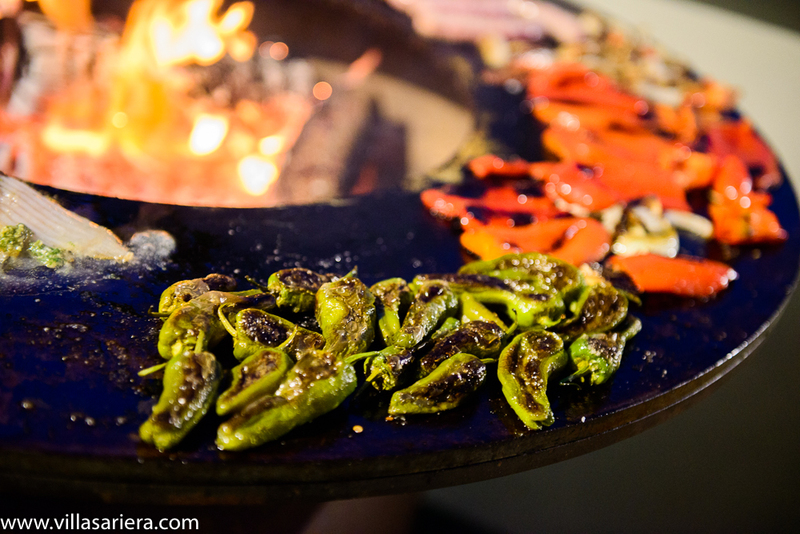 It will take about 45 minutes to get hot enough to cook on, less with charcoal. For wood - use cardboard under some kindling, or pine cones with smaller logs on top and larger logs on top of them. For charcoal use a fire lighter under the coals. 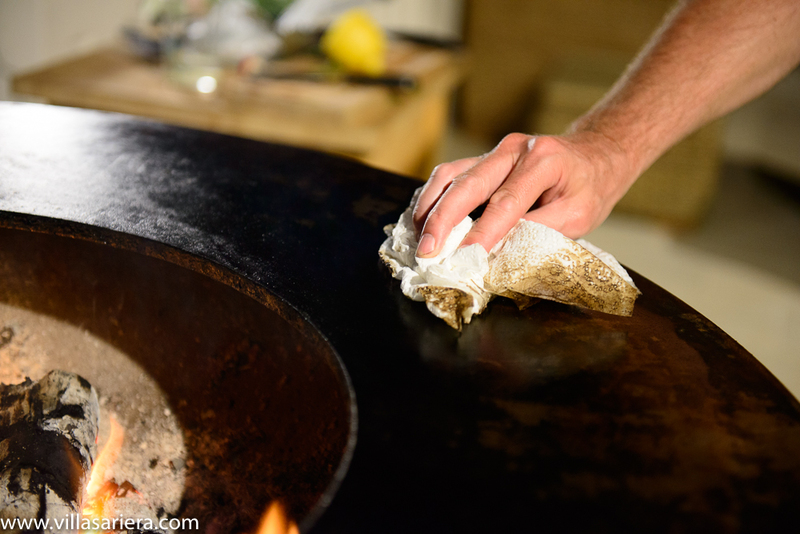 Before you cook on the grill, while it is still hot, pour some oil on it and, if it needs it, scrape any remnants from previous uses into the centre, then reapply the oil. 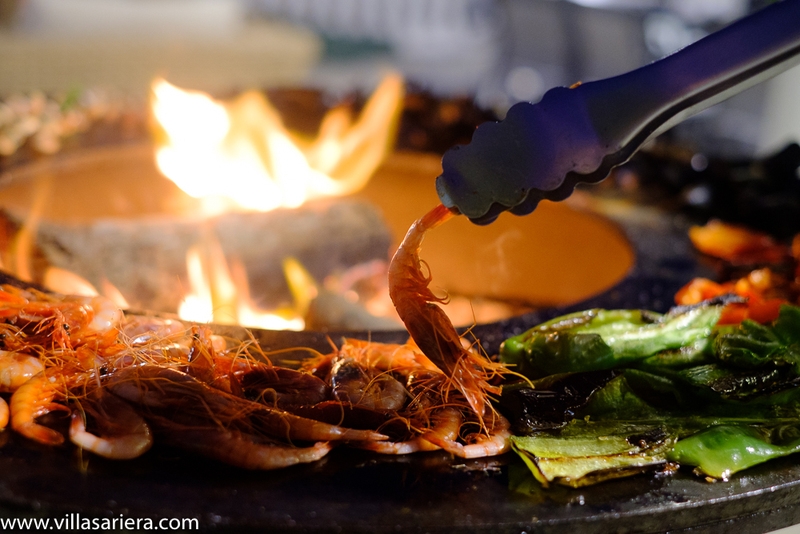 The hot plate is designed so the oil runs slowly into the centre rather than onto the floor. 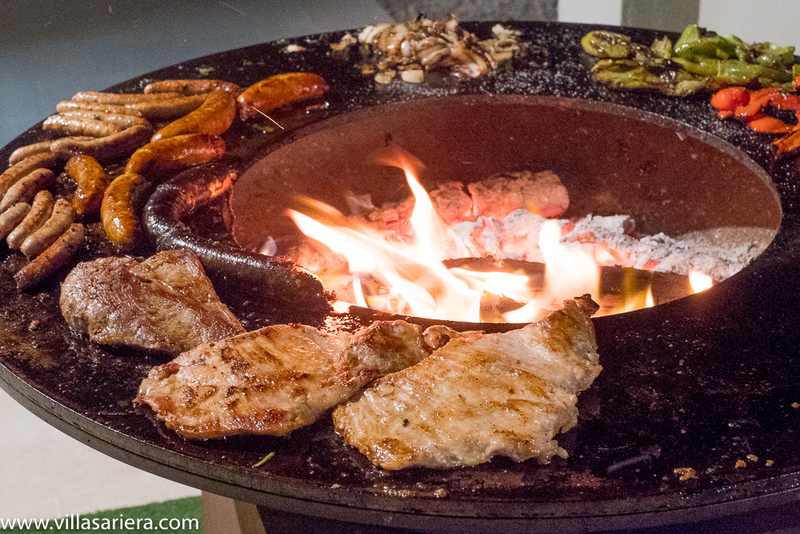 At this point you can either put the grill on top and grill like a regular barbecue or what is more fun is cooking directly on it. You can, of course, do both! 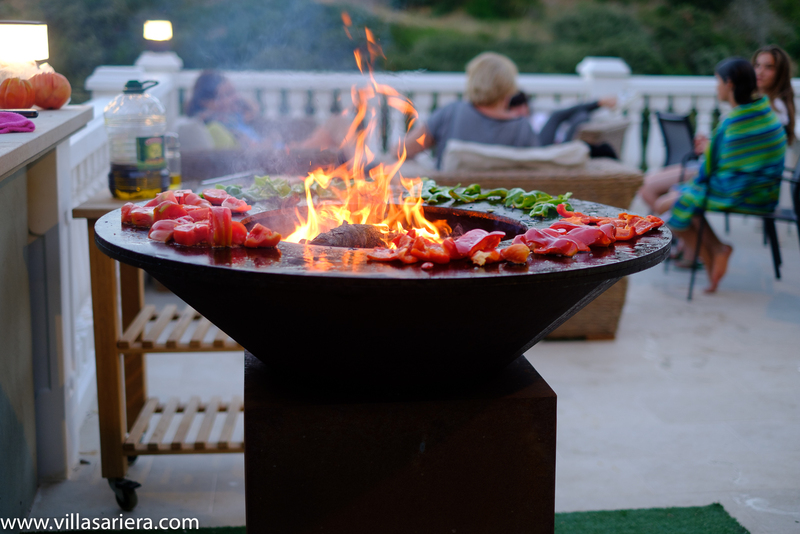 Bear in mind that food tends to cook much quicker on the grill than the hot plate. We have left two pairs of pliers to get the grill on and off when it is hot, it is heavier than it looks so please take care. Try prawns, fish, meat, vegetables, even fried eggs! 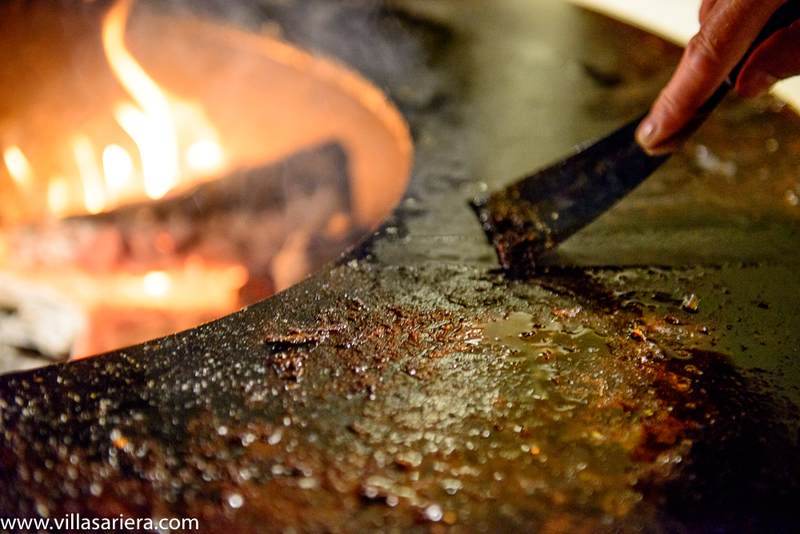 We tend to put vegetables like peppers, onions and courgettes on first with some oil as they take about 40 minutes to get properly soft, then we pile them up in one area to make room for the meat, finally the fish and prawns are usually very quick to cook. 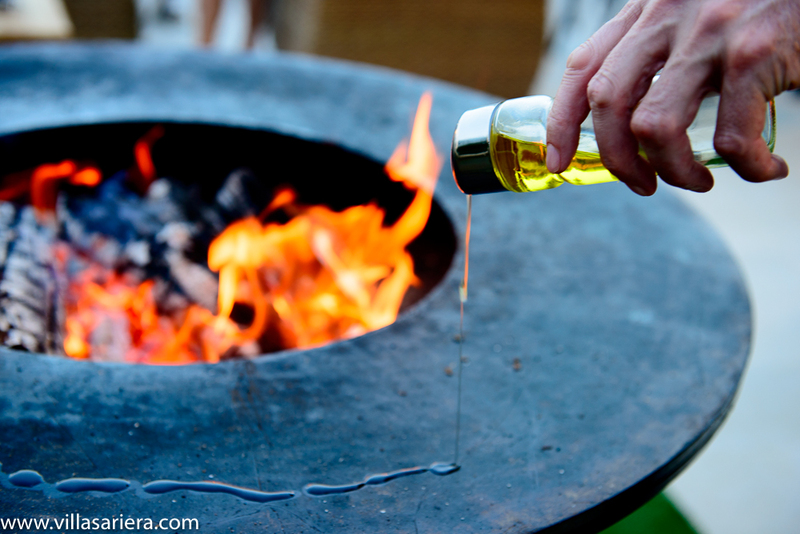 It is simple to clean, food scraps and excess oil go into the fire - all you need to do is drizzle some more oil on it when it is hot and scrape the remnants into the fire. It is a good idea to use a paper towel to give it a wipe while it is still warm. Ash can be removed (obviously once it has all cooled down) using a dustpan and brush, without removing the plate.